Russia's hybrid military forces violated the ceasefire in Donbas, eastern Ukraine, 15 times in the past day, according to the press center of the Ukrainian Anti-Terrorist Operation (ATO) Headquarters. "The intensity of attacks by Russia's occupation forces on our positions slightly decreased last night. After 18:00 local time, the enemy did not use mortars and other heavy weapons, but they did not strictly observe the ceasefire. In particular, Russian-backed mercenaries continued shelling the defenders of the town of Avdiyivka in the evening. They used small arms only. Also, the Donetsk sector saw attacks on the village of Pisky with the use of grenade launchers of various types, while large-caliber machine guns were engaged for an attack on the village of Nevelske," the ATO HQ wrote on Facebook on Thursday morning. Read alsoUkraine troops survive 15 attacks in Donbas on Sept 26, one soldier woundedAt night, the occupiers attacked ATO forces near the villages of Shyrokyne and Talakivka in the Mariupol sector. 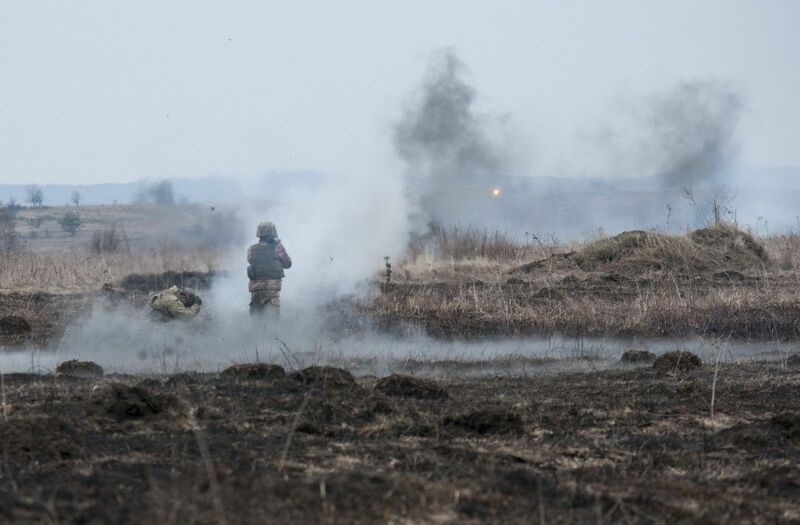 Ukrainian positions near the villages of Lobacheve and Stanytsia Luhanska in the Luhansk sector came under enemy grenade fire in the evening. Russian proxies also used small arms near the village of Krymske. The ATO reported there were no casualties among the Ukrainian servicemen on Wednesday, September 27.